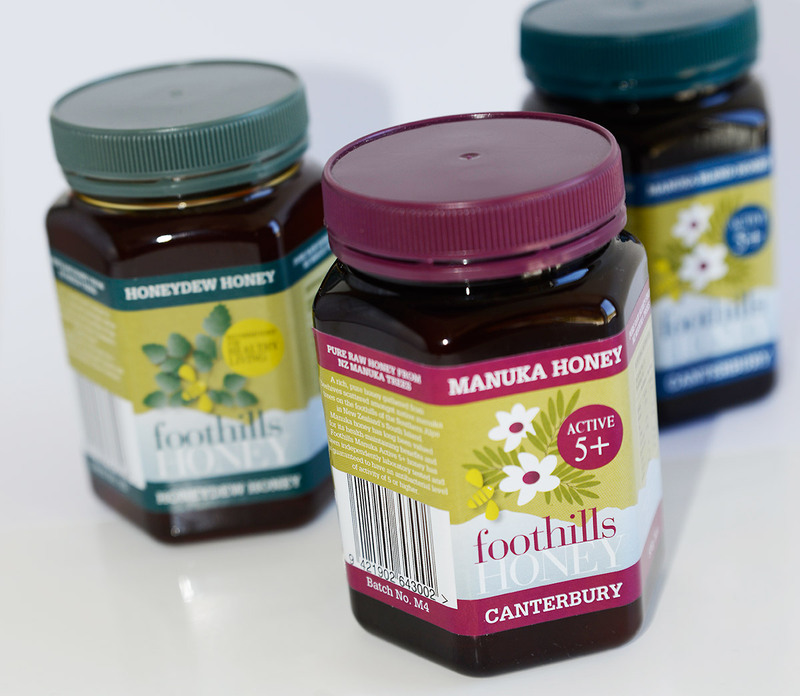 New brand development and packaging for Foothills Honey, proudly made right here in Canterbury. It’s all about the bees and trees at Foothills Honey! Made locally in Canterbury, their branding and packaging needed to reflect the local area and surrounding natural environment. We used illustrated graphics to differentiate the honey varieties, as well as a colour palette that allows easy navigation of the range. 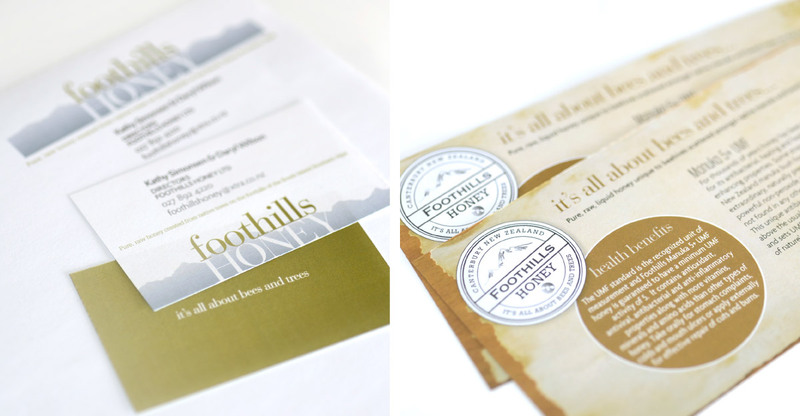 We felt that it was important to portray the artisan quality of Foothills Honey, which is portrayed throughout the branding.